Kara Hudson has been married to her billionaire husband, Simon, for over two years, and she loves him even more desperately than she did when they first married. Unfortunately, there was a distance growing between the two of them, and the passion between them wasn’t flaring as red-hot as it used to burn. Was it possible that Simon wasn’t as crazy in love with her as he used to be, or did their problems go much deeper than that? Simon Hudson loves his wife and his infant daughter so much it hurts. And he was getting tired of holding back his emotions from his worn-out, exhausted wife who had seen their baby girl through her first year and a half of life without complaint. Will their differences and emotional distance tear the two of them apart? Or will a precious gift from Santa help them heal their misunderstandings and have the merriest Christmas they’ve ever had? 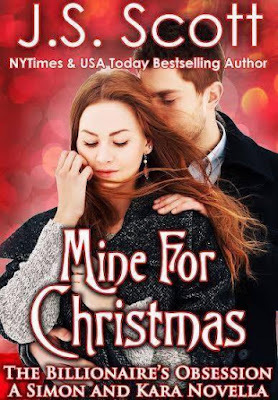 Down on her luck, nursing student and full-time waitress Kara Foster gets a massive blow to her already desperate financial situation that will surely find her living on the streets. Needing nothing less than a miracle to save her, Kara gets rescue from an unknown, unlikely and overwhelming source. Billionaire Simon Hudson makes her an offer that is impossible to refuse, but terrifying to accept from a man that she's never met. Will the handsome, alpha billionaire really be a solution to her problems, or will he end up being a major complication and a danger to her emotional sanity? Reclusive billionaire Simon Hudson would rather be behind a computer creating computer games than rubbing elbows with the elite and he knows exactly what he wants...until he meets Kara Foster. Something about Kara touches Simon in ways he's never experienced and definitely doesn't like. For over a year, Simon watches over Kara, but stubbornly refuses to admit his desire to possess her, not even to himself. But when she ends up in a situation that could very well be her destruction, Simon steps up to help her, not realizing that in saving Kara, he might very well be salvaging his own soul. 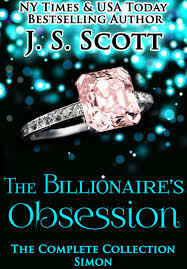 "Mine For Tonight" is book one of "The Billionaire's Obsession" . Books in this trilogy do not stand alone and need to be read in order.